By standing up for migrant families and children, people from small towns and small cities across the country are telling us who we love and what they stand for. On June 30th, hundreds of thousands of people marched under the banner, “Families Belong Together,” to support the reunification of families and demand an end to Trump’s inhumane immigration policy. Of the 750 marches and rallies that took place on June 30th, nearly half took place in counties that voted for Donald Trump. Over 130 of these were organized in counties where Trump won 60 percent or more of the vote, often winning by more than 30 percent. It’s significant that the biggest expression of resistance to the Trump agenda in what some would call “Trump country” has been in reaction to the separation of migrant children from their parents. 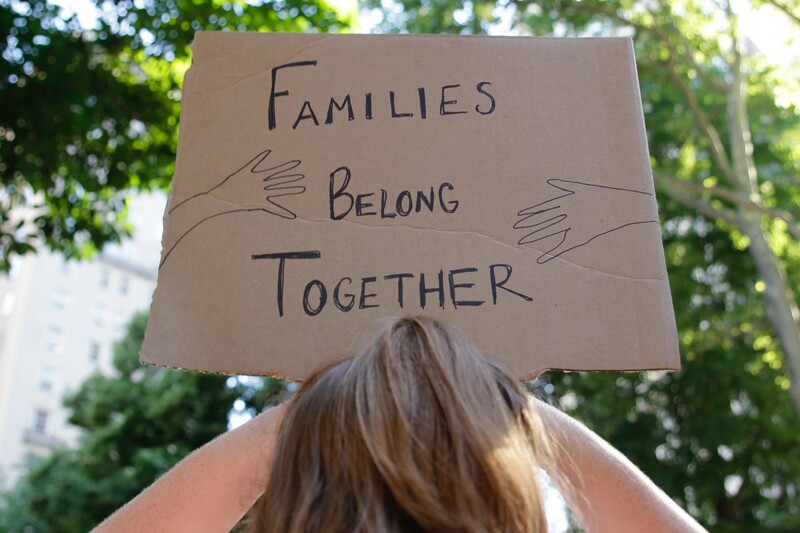 Now, on August 4 and 5, communities across the country will take the next step and organize Families Belong Together cookouts to talk about family, the heartbreaking struggles migrant families face, and help raise money to cover the costs of travel and bond for those in detention. Many of these communities are dealing with their own pain and loss. Westminster, Maryland has experienced a 76 percent increase in fatal drug and alcohol overdoses in the first six months of 2018 over 2017. Westminster was one of many communities hard hit by the overdose crisis to hold an event to support migrant families on June 30. To residents of small towns, it doesn’t matter who you voted for — you know in your hearts that separating families is wrong. Westminster is in Carroll County, where Trump beat Hillary Clinton by 36 percent in 2016. In Campbell County, Wyoming, Trump won 87 percent of the vote, while Clinton got 7 percent. That didn’t stop people in Gillette, the county seat of Campbell County, from organizing a Families Belong Together event. 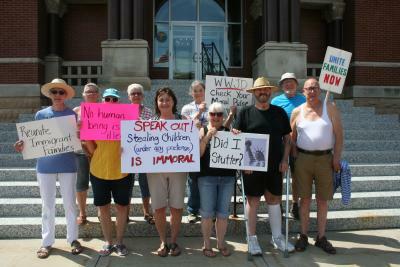 Julie Duhn organized a rally of about a dozen people in her hometown of Eldora, Iowa. Eldora is in Hardin County, home to the sole jail in the state to serve as an ICE detention center. Nearly three out of four beds in the jail are reserved for ICE detainees. A big part of the country has been defined in the media by how they voted in the last election. People in rural communities, small towns, and small cities are now telling their own story. The next chapter begins on August 4. As a kid growing up in Southern Indiana, I remember gatherings with food, family and neighbors passing the hat to raise money for a local charity. When visiting my Grandpa, a Presbyterian preacher, my brother and I would tag along as he went to preach in rural Ohio. I can still picture the church windows swung open and the smell of fresh cut hay as he passed the offering plate to keep the church going or to raise some money for families in need. On August 4 and 5, we’ll be passing the hat. This time the family won’t be from down the road, but a family all the same. We’ll have a chance to show who we love, and who we are.